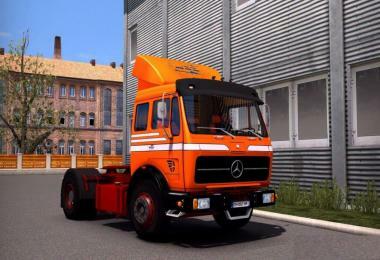 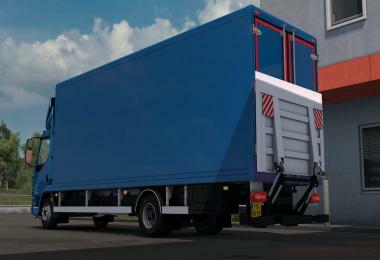 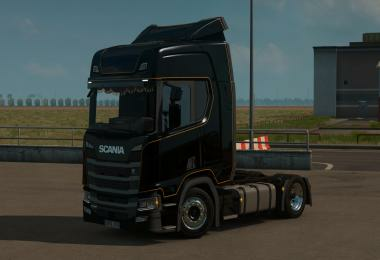 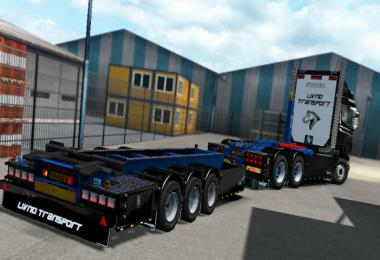 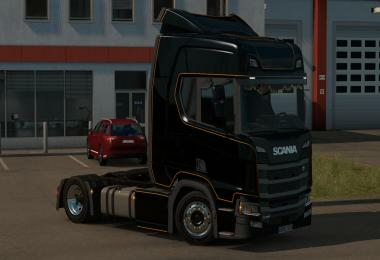 2 Sideskirts with side lights Paint/Plastic (For skins make a new .sii file with this name “skinname”.4x2_p_lights.sii). 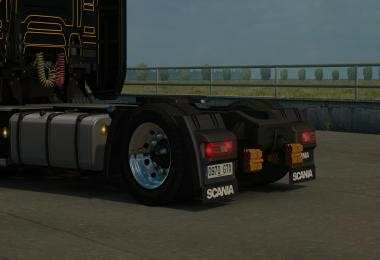 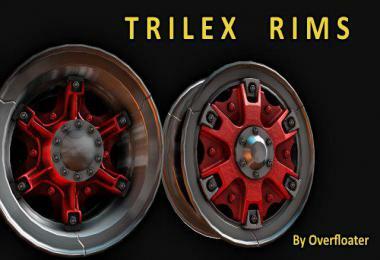 2 Opened rear fenders Paint/Plastic (For skins make a new .sii file with this name “skinname”.4x2o_p.sii). 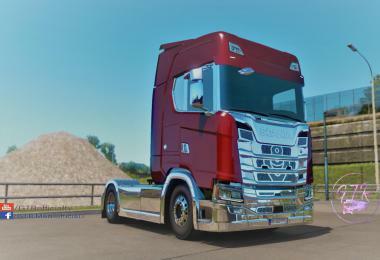 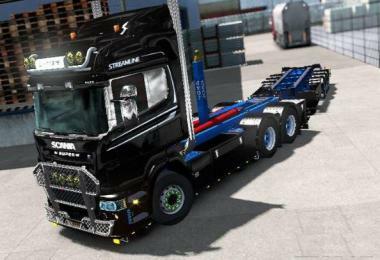 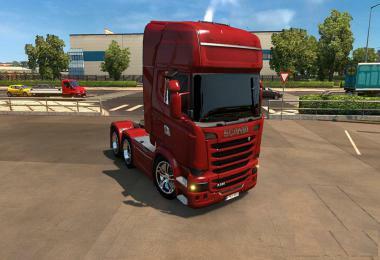 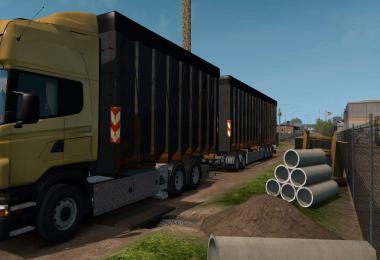 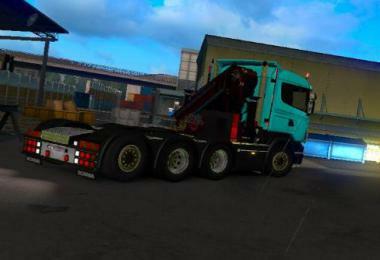 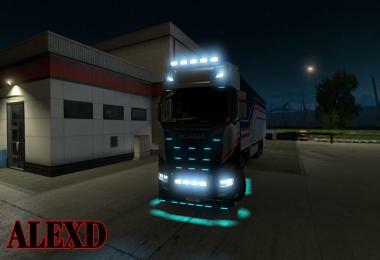 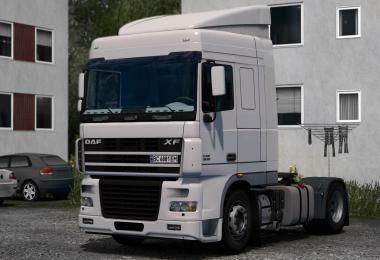 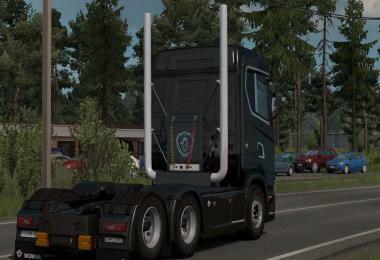 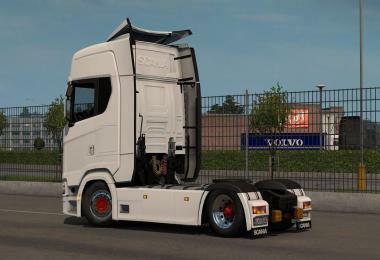 2 New cabins with raised spoiler (For skins add this line to def file: suitable_for: “highlinel.scania.r_2016.cabin” or suitable_for: “highlinel.scania.s_2016.cabin”). Only stock skins working(I dont have all DLC to make them working). 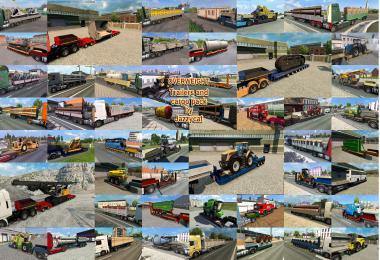 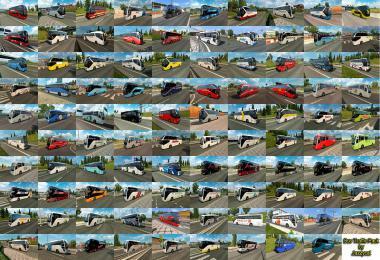 Updated all models to new PMG version(No more yellow lines in log).